This is an excellent small peaceful site. Only 6 pitches and plenty of space so you get to keep your privacy as much as you can on a campsite. The shower/toilet room is kept spotless at all times. 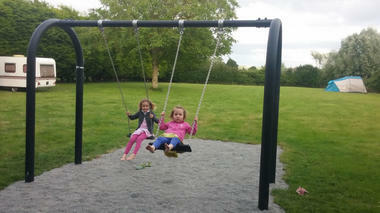 If your looking for a quiet place close by to St Malo and surrounding areas you've found it. 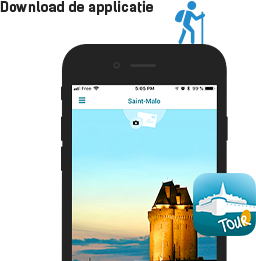 An excellent base to explore parts of Brittany. We spent ten days there with no problems at all. Thanks!! Thank you ! Indeed, we live in a very quiet place in the middle of a very tourist area ! Merci aux fidèles amoureux de la nature et de la baie ! 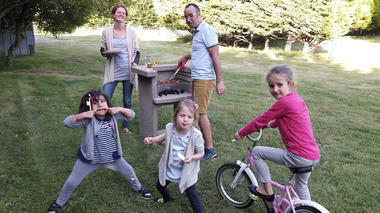 We were received in a friendly way on this little camping and have had a nice time. It's a serious alternative for people who don't like the impersonal big campings. The landscape is beautiful and there are a lot of interesting places to visit. un camping très calme et propre, on a eu un accueil très sympathique des gérants.... on a adoré notre séjour ! il y a peu d'emplacements donc on est vraiment tranquille, et on se sent chez nous ... très bien placé, près de Dol, à quelques kilomètres du Mont St Michel ou de Saint Malo ... un regret : on aurait dû rester plus longtemps !!! on vous conseille vivement ce camping à la ferme ! We had a great relaxing stay. The facilities are a bit basic, but clean and functional. 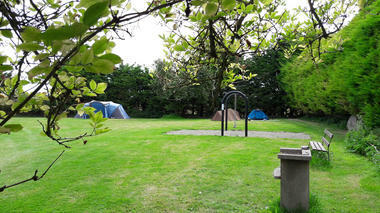 The campsite is nice and quiet with plenty of space between pitches. 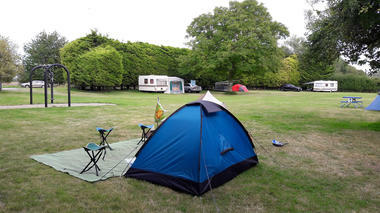 A real traditional campsite which we would visit again if we are in the area.